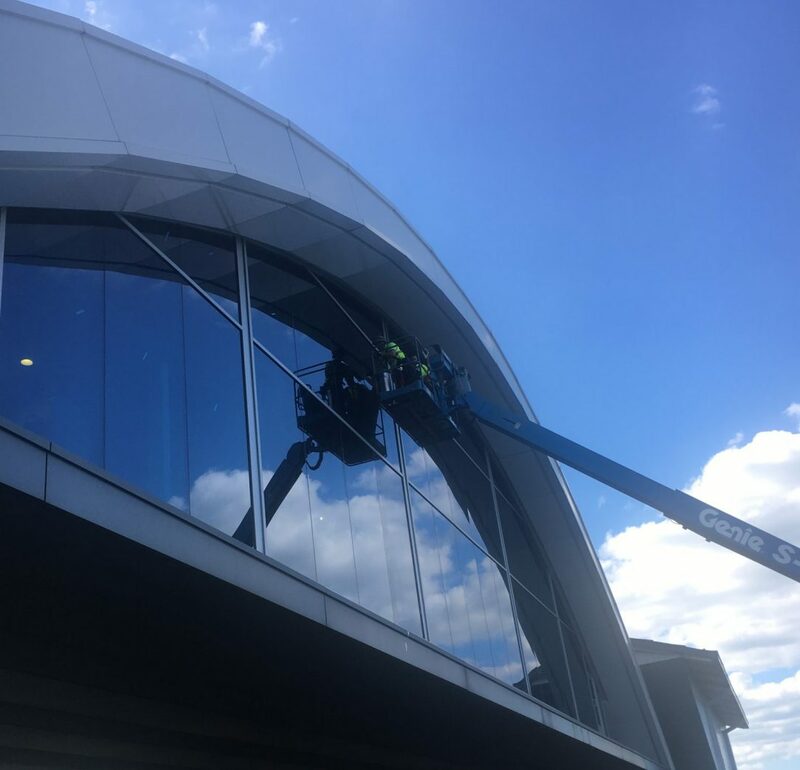 We recently completed a safety window film project on the Will Rogers Archway located on the I 44 Toll Way near Vinita, Oklahoma. They had an incident where a chunk of glass became dislodged and hit the roadway underneath. Fortunately, no one was harmed but something needed to be done to ensure this would not happen again. After consultation, we suggested a solution that was comprised of a 7 mil exterior safety window film combined with a 4 mil interior film. This combination will maintain the visibility through the windows while dramatically lessening the likelihood that a similar accident can happen in the future. If you would like to learn more about safety and security window films, click HERE. If you have any questions, contact us today by calling (918) 812-0953 or emailing us by clicking HERE. We would be happy to arrange a free, no obligation consultation and discuss these innovative safety solutions. We are the #1 provider of window film services in Tulsa, Oklahoma and the surrounding areas.